It has been proven that giving children an interest in baking at a young age will help give them confidence and life skills for later in life. In addition, it makes them healthier and more inclined to make healthy meals. With games, you can teach your kid baking without worry about making a mess. 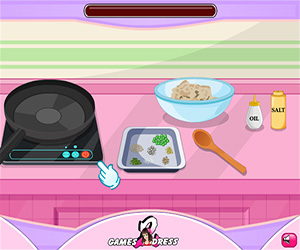 These cooking games online for free, like Veggie Burger, takes all the guesswork out of cooking and turns you and your child into master chefs in a virtual environment. 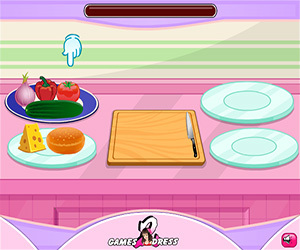 With this online game, you can do everything involved in making a veggie burger. With the colorful graphics, your child will be able to follow along easily as they cut up the ingredients, bake them and serve them. The only downside to the game is that you can't actually eat the veggie burger but you can take what you learned and make your own veggie burgers in the kitchen with the kids for everyone to enjoy.